Rooftop Garden: Practicing Seed Sovereignty! Stop Killing Farmers! Global Day of Action Negros Killings! Philippines: On March 30, 14 farmers were victims of extrajudicial killings following police and military operations in Negros Oriental. The farmers, who are already suffering through years of neglect, are repeatedly being subjected to these atrocities. We stand alongside the families of the victims, and express our intention to arduously exhaust all platforms for justice and accountability. To mark the Global Day of Action April 10, members of Roots for Equity, hold up sign calling for an end to peasant killings in the Philippines. Pakistan Kissan Mazdoor Tehreek (PKMT) and Roots for Equity in collaboration with Asian Peasant Coalition, Pesticide Action Network, Asia Pacific and International Women’s Alliance commemorated the International Day of the Landless, which was marked by the slogan “We Will Take Back Our Land, Our Future!” Globally, the Day of the Landless highlights the struggle of the landless farmers for genuine land reforms and food sovereignty, where they are being evicted from lands that had been tilled for many generations by their ancestors. It is in this context that the many protests and demonstrations have been planned in Pakistan, Bangladesh, Sri Lanka, Nepal, India, Mongolia, Cambodia, Malaysia, Thailand, and Indonesia among others Asian countries. PKMT carried out press conferences at the Peshawar, Multan Press Clubs and a protest rally in Ghotki against the landlessness of farmers, as well as countrywide happenings of land grabs and in the name of foreign investments and development projects. According to the PKMT National Coordinator Altaf Hussain stated that from 2000 till now, transnational corporations worldwide have land grabbed more than 50 million hectares of land through 1,591 agreements. Further, 200 more negotiations are in ongoing for acquiring 20 million hectares. No doubt, rich capitalist countries along with their imperialist institutions such as the World Bank, the IMF and the WTO have wrought changes in policies which has allowed the massive push in land grab, drowning the farmers in debt and deprivation, all methods which give transnational corporations control over production and markets. According to the Raja Mujeeb, Secretary General Asian Peasant Coalition, imperialist corporate agriculture is here to plunder our lands, take away our livelihood and poison our lands. No doubt, most of the land deals are being carried out to in countries like Pakistan that are rich in natural resources. It is draconian that only 8% of these land deals are exclusively for food production and 60% of this is for export. Further, most of these land deals, around 70%, are reserved for agro-fuel production – industry bound oil seed production of oil palm, jathropa, corn, wheat, and sugar. This push for agro-fuel is fulfilling the needs of the rich capitalist countries. In the past few years, China’s One Belt One Road (OBOR) initiative has further accelerated land grab, and China is now second to the US, in the number of concluded transnational land acquisitions. In Africa alone, land acquired by Chinese companies range from 240,000 to 6 million hectares. According to the KPK Provincial Coordinator, Fayyaz Ahmad after leasing an additional 1,000 acres of land in Haripur for a special economic zone, and eviction of farmers from their land for building the Northern Bypass, Peshawar, the next target for investors seems to be Palai in Malakand, a green belt famous for its farmlands and orange orchards. The government of KPK is planning to build a cement factory in the area and has imposed Section 4 for acquiring 400 acres of land. The critical importance of this land for the local communities and its fertility can be gauged by government figures which state that Palai has 171,000 fruit trees which are not only a source of livelihood and food security for the local communities but also critical for the environment; all this happening in a country which is in the frontline of vulnerable countries from climate change impacts. Similarly, for the construction of the Swat Expressway precious agricultural land of local farmers has been acquired for pittance, and on top of that farmers are facing delay in payments for the land. According to PKMT Sindh Provincial Coordinator Ali Nawaz Jalbani, small and landless farmers were facing exploitation and deprivation because of the unjust distribution of land, corporate agriculture, and the imperialist neoliberal policies inflicted on the command of capitalist countries. At the same time, feudalism is not only forcing misery on the landless farmers but the women face further discrimination based on their gender. They are forced to work under scorching heat for harvesting crops such as wheat and cotton; Hindu are forced to bear not only the oppressive feudal mechanisms but also face further discrimination based on religion. According to Mir Babal, a youth PKMT member from Ghotki, various development projects for energy and infrastructure under the China Pakistan Economic Corridor agreement has resulted in land grab in the area for a number of years. It was pointed out that in Sanghar, a district where the landless facing acute exploitation with a very high percentage of the population suffering from malnutrition, the government under different guises was taking back land that had been distributed to landless farmers in 2004. The much higher percentage of children suffering from malnutrition in this district was proof of the impact of the industrial agricultural production, which takes its toll on impoverished farmer communities. The Sindh government in many districts of the province for the past many decades has been evicting small farmers. On the other hand, farmers have been forcefully evicted from centuries old villages so that big property dealers and investors, who are well known to have acquired land illegally, are given further opportunities for land grabbing. PKMT Provincial Coordinator Maqsood Ahmed stated that the government of Punjab after leasing 6,500 acres of land for growing high yielding seeds to foreign corporation in Punjab has recently adopted a policy for leasing state land to national and foreign corporations. The Punjab government has provided state forestland to the corporate sector for planting commercial forests. In South Punjab, proposals by investors for developing commercial forests on 99,077 acres of land have been approved. On the other hand, the same Punjab government in district Rajanpur, South Punjab is bent on displacing small farmers from an area called Rakh Azmat Wala, where the farmers have lived for more than a century. PKMT demands that development project across the country including those for special economic zones as well as land lease to investors should be stopped. In addition, the role of international corporate sector in agriculture should be eliminated, the ever-increasing allotment of land to the corporate sector should be stopped and instead just and equitable distribution of land to small and landless farmers should be carried out immediately. I am Wali Haider from Roots for Equity, Pakistan and I’m speaking on behalf of the Farmers Major Group. The dominant paradigm of unsustainable consumption and production continue to devastate and worsen the situation of the environment and the people along with promotion of Trade-Related Aspects of Intellectual Property Rights which force GMOs and commodification of seeds and water. This crisis is further compounded by unabted land grabs by the transnational corporations. This is manifest in the crises in food, climate, environmental degradation, reduced biodiversity, depleted natural resources, and increasing violation of people’s rights and exacerbating inequality. The industrial model of agricultural production and perverse subsidies in the agricultural sector are destroying the sources of livelihoods of small-scale food producers and their communities, resulting in hunger and forced migration. To tackle the challenges we are facing in nourishing a growing global population and ensuring food sovereignty require innovations. People-centred and community solutions are innovations and appropriate technologies that protect the environment, promote sustainability, community ownership, social solidarity and mutuality and based on development justice. Innovative solutions that make a difference in people’s lives are often not technological but social innovations, linked with traditional practices and based on indigenous and local knowledge systems. 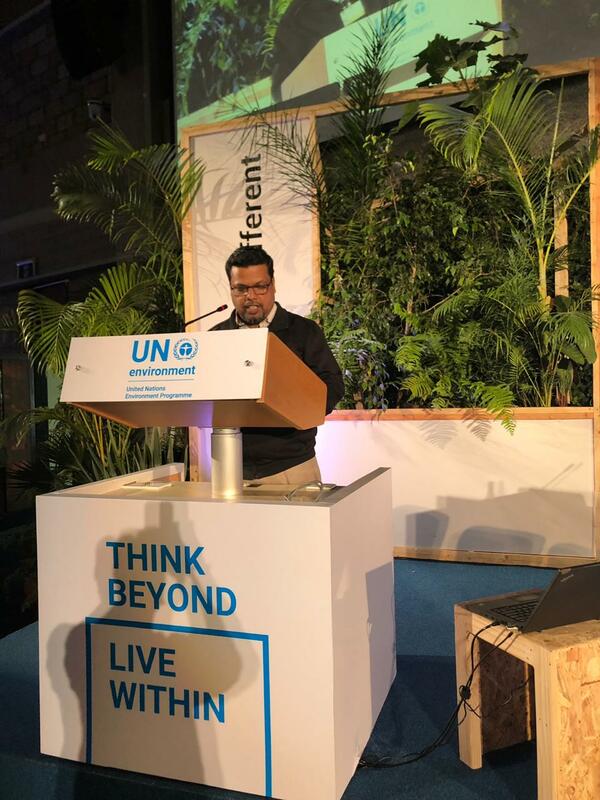 Dimensions of environment, economy and society, the three pillars of sustainable development, are all taken into account in people’s solutions and community innovations towards sustainable consumption and production. It is proven that in food production, agroecology as a practice based on constant innovation of farmers, a science and a social movement, is known to improve soils, protect health and the environment, improve livelihoods, and increase household income. Agroecology also harnesses traditional and indigenous knowledge systems supported by people’s science and builds community unity. Therefore, we call for the strengthening and promotion of agro-ecology through appropriate laws, policy and programs as well as the protection of local, indigenous and traditional knowledge in agriculture, and create markets for traditional and heirloom produce. Subsidies, incentives and development aid should be re-targeted away from industrial agriculture, towards agro-ecological solutions and small-scale, local production. Policies in national and regional level supporting local and community innovations can be strategic, as such in governance of natural resources and community-based resource development. Participatory and community action researches on the issues surrounding sustainable consumption and production will provide evidence-based solutions and should be supported. Assert and protect public control over natural resources and prioritize cultivation of nutritious food for local consumption. Provide an enabling policy environment for farmers including land to the landless, genuine agrarian reform, access to productive resources including seeds, participation in policy-making and policy coherence at the national and international levels. Advance good governance with increased accountability and transparency, removing all anti-people policies to protect natural resources. Member states should mainstream biodiversity protection and enhancement across sectors and engage indigenous people and ensure the protection of their rights to land, resources, establish accountability mechanism to ensure compliance to human rights, social and environmental safeguards. Call on member states to actively participate in the intergovernmental working group on the elaboration of legally-binding treaty on TNCs and other businesses with respect to human rights. Recognition and promotion of the role of women in providing innovative solutions to environmental problems and SCP. key component of environmental governance. Due importance should be given to capturing the interpretation of evidences by different actors and enabling broad participation in societal deliberation on technologies. Provide mechanisms for equitable, effective and inclusive participation of civil society based on recognition of existing inequalities and the need to level the playing field. We also note with concern that the negotiations are tilted more in the favour of big business than ecology and farmers. However, we call on member states to protect the interest of the small and landless farmers. The farmers of the world stand ready to support you so we can work together on these. A federal jury found Tuesday that Monsanto’s popular weed killer Roundup was a “substantial factor” in causing a California man’s cancer, dealing a significant blow to the company as it aggressively defends its products against thousands of similar claims. The second phase of the case, which begins Wednesday, will focus on whether Monsanto, which was acquired by Bayer AG last year, should be held liable for partly causing Mr. Hardeman’s cancer, said his lawyer, Jennifer Moore. Ms. Moore said lawyers would seek to prove that Monsanto manipulated public opinion and science to play down Roundup’s health risks. Lawyers will argue that Monsanto knew or should have known that Roundup causes cancer, Ms. Moore said in an interview Tuesday. Mr. Hardeman’s team will ask that the jury have the company pay his medical bills and an undetermined amount of damages, she added. “We feel confident based on the evidence that a jury, when presented with all of the evidence, will see that Monsanto has committed 40 years of corporate malfeasance,” Ms. Moore said. The verdict in the closely watched case is a milestone in the contentious public debate over Roundup, which was Monsanto’s flagship product. Its active ingredient, glyphosate, is the world’s most widely used weed killer. Ms. Moore said the verdict would likely influence the thousands of other similar cases — about 11,200 people had sued Monsanto over Roundup as of February, according to Bayer. Bayer has consistently defended the safety of Roundup and glyphosate, and industry-funded research has long found the herbicide to be relatively safe. Regulators have mostly agreed. Central to the criticism of Roundup, however, is a decision by the World Health Organization’s International Agency for Research on Cancer in 2015 to declare glyphosate a probable carcinogen. That spurred Mr. Hardeman to file a lawsuit in February 2016, and prompted California to declare glyphosate a chemical that is known to cause cancer. In August, a California jury found that Monsanto had failed to warn a school groundskeeper of the cancer risks posed by Roundup, which he used as part of his job as a pest control manager. Monsanto was ordered to pay $289 million in damages. In October, a judge reduced that total to about $80 million, saying the jury’s award was too high. Monsanto is appealing that verdict, a spokesman said. Mr. Hardeman’s case was the first federal case to go to trial, Ms. Moore said. She said the legal team presented expert testimony and research that Roundup causes mutations in human cells and that human populations that are exposed to Roundup are more likely to develop non-Hodgkin’s lymphoma. Documents unsealed in 2017 in Mr. Hardeman’s case suggested that Monsanto had ghostwritten research that was later attributed to academics. The documents indicated that a senior official at the E.P.A. had worked to quash a federal review of glyphosate. The documents also revealed that there was some disagreement within the E.P.A. over its own risk assessment. Concepción de León contributed reporting. KAMPALA (Reuters) – Uganda is investigating a supply of food from the World Food Program after three people died and 262 others got sick, police said. Police are “actively investigating the death of three people … from eating adulterated or poisonous food supplied by the World Food Program,” the statement said. Samples of the food and the patients’ urine and blood had been sent to a government laboratory for analysis. The organization also said it was aware of “reports of three deaths” that had occurred on March 16 and that extra samples of the cereal had been sent to Kenya and South Africa for testing. Obviously our political leadership is not well informed on such matters, nor is transparency its forte. Hence the Cargill heads’ meeting with the prime minister and their offer to create a huge number of jobs in Pakistan raised no scepticism in government circles. Our experience with GM cotton has been disastrous. But mercifully the Ministry of National Food Security & Research still has men of integrity and knowledge at its helm. It appears they have resisted this move. That has now prompted the American Business Council of Pakistan (representing 64 companies), a leading foreign investors’ group, to seek the prime minister’s help “to allow commercial cultivation of GM maize”. These American companies want the “obstacles” removed that are preventing them from implementing their controversial plans. The good news is that the Pakistan Kissan Mazdoor Tehreek has issued a press release titled ‘Peasants Declare “NO TO GM MAIZE!”’ The party has categorically supported the ministry’s refusal to grant approval to genetically modified maize in Pakistan. The PKMT’s own position on GMOs and the seed companies has been clear for over a decade: they violate farmers’ collective rights to seed and will pauperise the small and landless tillers of the soil. The Seed Association of Pakistan has also “sternly opposed” any commercialisation of GM maize in Pakistan. Civil society is also gearing up to resist any such move which will have a devastating effect on food security as well as agriculture. BT cotton should come as a lesson — that is, if we are willing to learn. Introducing BT cotton proved to be easy sailing in 2010. There was hardly any resistance from those in authority. The Seed Law was changed by the National Assembly in 2015 to accommodate the seed multinationals. This was done at the behest of the US in spite of the fact that the 18th Amendment was in place and a courageous lawyer, Ahmad Rafay Alam, went to court on behalf of the Kissan Board to challenge its legality as well as the safety of BT cotton. The case has still to be decided. BT cotton — Monsanto’s GM pet project — has proved to be a disaster for the country. Since its debut in Pakistan — by virtue of seeds smuggled from India in 2005 and later sanctioned by the government in 2010, cotton production has been falling. The figures cited have varied from source to source. It has of late been in the range of 10.5m and 11.5m bales. In 2004, cotton production stood at a record high of 14.1m bales (of 170kg each). Contrary to the government’s claim, the All Pakistan Textile Mills Association says the weight of the bales is now 160kg each. For years cotton production has failed to meet the target set by the government. This has adversely affected the national economy as cotton is the major element in the textile sector, the mainstay of Pakistan’s exports. BT cotton has also introduced new bugs in the cotton fields requiring greater use of pesticides, produced as can be expected by the biotech companies themselves. With Monsanto monopolising the seed market, nearly 88pc of the area under cotton cultivation is BT. The yield per acre has also fallen. All this adds to the cost of the inputs, causing farmers to switch to other crops. It is horrifying to think of what the impact would be if maize, which is a thriving crop at present, is handed over to producers of GM maize. Has GM maize been thoroughly tested in our soil and climatic conditions? Without extensive research we cannot assess its impact on human health. We cannot afford to risk a rise in the prevalence of deadly diseases; the pesticide Roundup, which is required to be used, has been declared carcinogenic by WHO. This should be reason enough for the government to resist pressures from the biotech multinationals which are out to destroy our economy. Let us learn from our own sordid experience of GMO cotton. Let sanity prevail. Besides, we cannot allow our peasantry to be destroyed. It is the backbone of our agriculture. Lahore, 21 February 2019: A Full Bench of the Lahore High Court heard arguments by Petitioners challenging the Seed (Amendment) Act, 2015 and the Plant Breeder’s Rights Act, 2016. Advocate Sheraz Zaka, appearing on behalf of the NGO One-World, submitted that these laws were passed at the behest of multinational seed and GMO companies and were against the interests of farmers in Pakistan. He pointed out how these law prohibit the storage and sharing of seeds, which has been a fundamental feature of agriculture since the dawn of civilization. The new laws would require farmers and seed companies to register new verities with the Intellectual Property Organization in Islamabad. Advocate Ahmad Rafay Alam appearing for NGO Sojhla for Social Change argued the Plant Breeder’s Rights Act, 2016 could not have been passed by Parliament as it was a provincial subject. He pointed out the province of Punjab had taken measures to draft the Punjab Seed (Amendment) Bill and Punjab Farmer’s Rights Bill, and that the laws passed by Parliament usurped the powers of the provinces. The laws passed by Parliament, it was submitted, failed to recognize Pakistan’s international obligations to protect Farmers’ Rights and also usurped provincial jurisdiction. The petition filed by Sojhla for Social Change is supported by the Pakistan Kissan Mazdoor Tehreek. A representative appearing on behalf of the Federation of Pakistan submitted the Seed (Amendment) Act, 2015 and Plant Breeder’s Rights Act, 2016 were passed keeping in view advancements in technology and the needs of seed dealers. After hearing arguments, the Full Bench adjourned the hearing of the matter to 26 February 2019 for arguments by the Federation of Pakistan. Lahore, 18 February: A Full Bench of the Lahore High Court led by Mr. Justice Mazahar Ali Akbar Naqvi and comprising Justices Shahid Bilal Hassan and Muhammad Waheed Khan heard petitions challenging the vires of the Plant Breeder’s Rights Act, 2016 and the Seed (Amendment) Act, 2015. Separate petitions had been filed by Sojhla for Social Change and Human-Voice, both civil society and farmers’ organizations, seeking to declare both laws in violation of farmers’ rights. It is alleged these laws were passed at the behest of multinational seed companies and not with the interest of Pakistani farmers in mind. Ahmad Rafay Alam, counsel for Sojhla for Social Change, argued Parliament could not have passed legislation amending the Seed Act, 1976 as the Constitution envisages such legislation to be made by Provincial Assemblies. Similarly, Parliament exceeded its legislative jurisdiction in passing the Plant Breeder’s Rights Act, 1906 as this subject was not enumerated in the Federal Legislative List. He argued there was a democratic deficit in the legislation as they had been passed without hearing the voices of farmers. The petition by Sojhla for Social Change is supported by the Pakistan Kissan Mazdoor Tehreek. Sheraz Zaka, counsel for Human Voice, submitted that farmers’ rights could not be sacrificed in the interest of multinational seed and food companies. Pakistan is signatory to the International Treaty on Plant Genetic Resources for Food and Agriculture, which recognizes the enormous contribution of farmers in the conservation and development of plant genetic resources that constitute the basis of food and agriculture around the world. The Treaty requires contracting parties to take measures to protect and promote farmer’s rights. The petitioners argue the Plant Breeder’s Rights Act, 2016 ignores farmers’ rights and gives preference to multinational seed companies and corporate farming. After hearing arguments, the Full Bench directed notice be issued to the Attorney General and adjourned the case for hearing this Thursday.